Browse: Home / rage_fuzzer – a dumb protocol-unaware packet fuzzer/replayer. 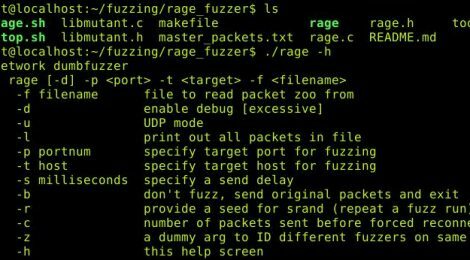 rage_fuzzer – a dumb protocol-unaware packet fuzzer/replayer. rage against the network is a dumb protocol-unaware packet fuzzer/replayer. ← T50 v5.6.6 – The fatest network packet injector.